2010.9-2015.6, Ph. D. in Department of Chemistry and State-key Laboratory of Elementoorganic Chemistry, Advisor Prof. Jin-Pei Cheng, Nankai University, Tianjin, P. R. China. 2012.9-2015.2, Joint training Ph. D. program in Beijing National Laboratory for Molecular Sciences (BNLMS), CAS. Key Laboratory of Molecular Recognition and Function, Advisor Prof. Sanzhong Luo, Institute of Chemistry, Chinese Academy of Sciences, Beijing, P. R. China. 2006.9-2010.6, B.S. in Department of Material Chemistry and State-key Laboratory of Elementoorganic Chemistry, Advisor Prof. Jiaqi He and Sanzhong Luo, Nankai University, Tianjin, P. R. China. 3. Cong Liu, Hong-Qiang Shen, Mu-Wang Chen and Yong-Gui Zhou. 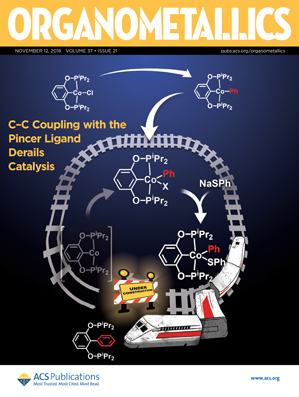 * C2-Symmetric Hindered “Sandwich” Chiral N-Heterocyclic Carbene Precursors and Their Transition Metal Complexes: Expedient Syntheses, Structural Authentication, and Catalytic Properties. Organometallics 2018, 37, 3756-3769. 2. Hong-Qiang Shen, Cong Liu, Ji Zhou and Yong-Gui Zhou. * Enantioselective Palladium-catalyzed C–H Functionalization of Pyrroles Using an Axially Chiral 2,2'-bipyridine Ligand. Org. Chem. Front. 2018, 5, 611-614. 1. Hong-Qiang Shen, Xiang Gao, Cong Liu, Shu-Bo Hu and Yong-Gui Zhou. * A Hydrogenation/Oxidative Fragmentation Cascade for Synthesis of Chiral 4,5-Dihydro-1H-benzo[d]azepin-1-ones. Org. Lett. 2016, 18, 5920-5923.